Today I want to talk with you briefly about depression. Not depression as in “I feel sort of sad today” or “I’m just in a rut”, but rather full-blown depression. The type of depression that robs you of joy, saps you of energy, depletes your self-confidence, disturbs your sleep, and causes you to feel like a Mack truck ran over your soul. Other than being extremely unpleasant, why is it important? Because depression not only interferes with living life to its fullest, but also results in diminished work/school performance, a deterioration of physical health, impairment in parenting, increases the risk of financial problems, and in extreme cases leads to suicidal thoughts or even attempts at taking one’s own life. What’s more, it is more common than many people believe. 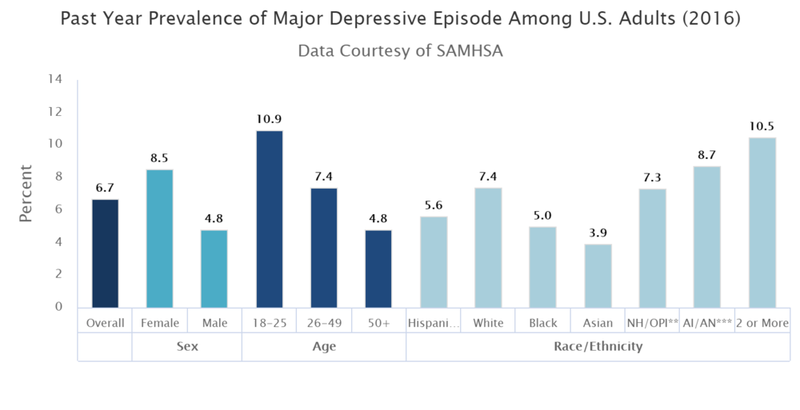 The National Institute of Mental Health (NIMH) reports that 16 million adults (4% of the adult population, or nearly one of every 20 adults) suffer with a major depression each year. For teens the situation is even more sober. 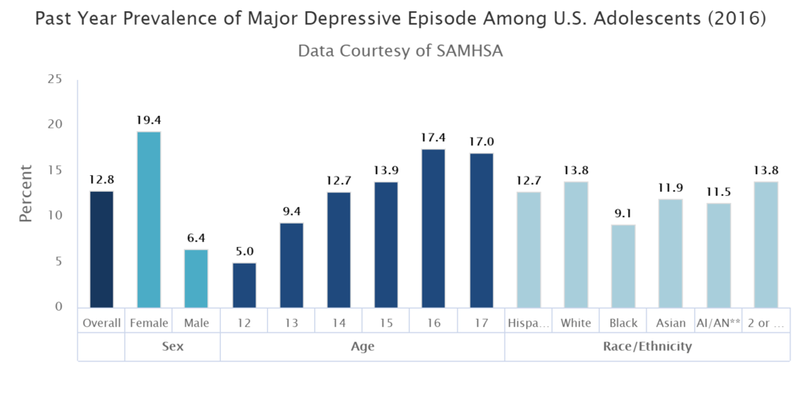 The NIMH reports that each year 3 million teens (13% of the adolescent population, or approximately one of every 8 teens ages) are confronted with a major depression. I'm sure you are not surprised, after looking at those numbers, to hear that depression is one of the most common problems with which therapists work. Fortunately, there is a high success rate for depression: the vast majority of people struggling with depression will experience significant improvement if they receive professional help. (Some people with serious depression can do well simply by making some lifestyle changes, but for most people with major depression, therapy and/or medication will be the most effective and fastest road to recovery). Now here is the troubling part. Many adult, over one third to be exact, do not seek treatment. Sometimes because they do not realize that they are depressed. That is, they have struggled with the symptoms for so long a time that they now consider them to be a normal part of life. Others do not get help because they fear that there will be a social stigma attached to their seeking assistance. With teenagers the situation is even worse. Sixty percent of depressed teens receive no treatment. This is heartbreaking given the terrific success rate one can expect if professional help is provided. With all of this in mind I would suggest that you click on the link here to go to a guide that describes the symptoms and treatments for depression. Take a look (it is a three-minute read), it might be just what you need at this time. Then write me if you like and let me know if this guide was helpful to you.